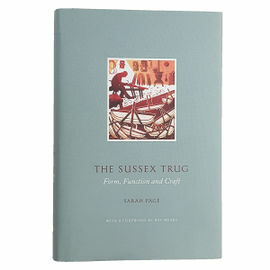 The Truggery have been making Sussex Trugs in their workshop and selling them from a little shop attached to the house for over a hundred years. Their trugs are still made using traditional methods and materials. They use locally coppiced sweet chestnut for the frame and the willow for the boards and feet is mainly a by product of the cricket bat industry. Trug making plays a small but important part in the conservation of ancient coppiced woodlands and is one of the reasons trug making needs to be preserved as a craft.